Frank mentions prohibition several times in his book, so what was it? Growing up in Colorado Springs, Frank had a unique experience when it came to the prohibition of alcohol. Long before Frank came along, the town had no legal alcohol. From the founding of Colorado Springs in 1872, it was illegal to sell a drop. This is attributed to the Quaker beliefs of the city founder Gen. William Jackson Palmer. Eventually Colorado became one of the first dry states in 1916. 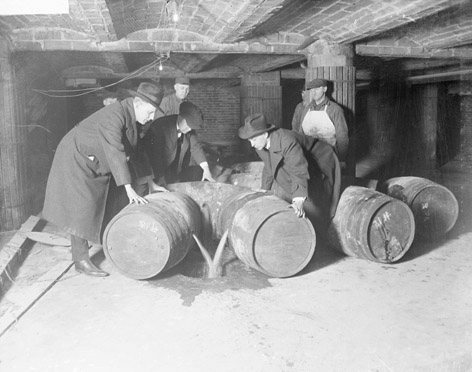 It was almost fifty years after the prohibition of alcohol in Colorado Springs when, in 1919, the 18th Amendment was ratified, making the manufacture, transportation, and sale of intoxicating liquors illegal throughout the US. In I Wanted to be a Pilot: the Making of a Tuskegee Airman, Frank discusses an aspect of Colorado Springs culture that still defines the town. A tradition of faithful religion (and tea-toddling) grew up next to a robust Wild West enthusiasm, with a good portion of lawlessness, independence, and big ideas of equality in the mix. Frank’s own neighborhood was full of colorful characters. There were cowboy sharp-shooters who knew how to croon. There was memorable worship on Sunday morning and bathtub gin on Saturday night. Prohibition ended in 1933, but on Pine Street where Frank lived, as with the rest of the country, the colorful language and vivid stories lived on!